Killearn Country Club in Tallahassee, Florida. Site of 21 PGA Tour and four LPGA Tour tournaments. A course having three interchangeable nines, each leaving from and returning to the clubhouse. Sky Meadow Golf Club in Nashua, New Hampshire. Rated by Golf Digest as the best golf course in the state. The Vineyards Country Club’s South Course in Naples, Florida. Site of five Senior PGA Tour events. Ranked by Golfweek as one of the 50 most distinctive residential development golf courses in the Southeast and called by Lee Trevino, winner of one of the Champions PGA Tour tournaments there, as “an excellent members course”. Golf courses in Europe, including: Gut Heckenhof Golf & Country Club near Cologne, Germany; the American Course of Golf de la Tournette near Brussels, Belgium; and Dronten Golf Club in the Netherlands. Mangrove Bay Golf Course in St. Petersburg, Florida. A municipal golf course over a completed landfill and irrigated with treated wastewater. A very popular public course that was on Golf Digest’s original list of the 50 best public courses in America. 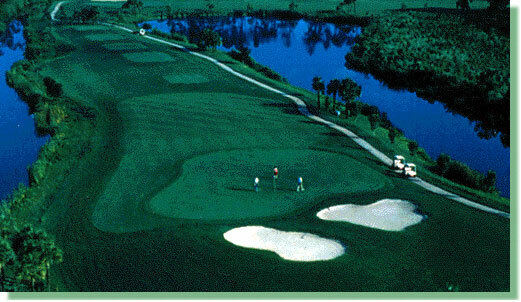 Halifax Plantation Golf Club in Ormond Beach, Florida a residential community golf course located near Bill’s office. Florida State University’s Seminole Golf Course in Tallahassee. Enjoyed by FSU’s teams, students, faulty, staff, alumni, friends of the university and their families. Spruce Creek Country Club within the Spruce Creek Fly-In Community with its holes “woven” around runways and taxiways with hangers attached to homes. Perdido Bay Golf Club near Pensacola. Hosted 10 PGA Tour tournaments. Also on Golf Digest’s first list of the 50 best public golf courses in America. The North Course of Pelican Bay Country Club in Daytona Beach, Florida. Site of two Champions PGA Tour tournaments. Some other golf courses include: the family-owned Homestead Golf Course in West Milton, Ohio; Deer Lake Golf Club, a public course in Springfield, Missouri; a member club, Green Meadows Country Club in Augusta, Georgia; and the Harbor City Municipal Golf Course in Melbourne, Florida. Oceans West Golf Club in Daytona Beach Shores, Florida. A small course around the Oceans West Condominiums. Although not a golf course, design of the Oceanside Test Center in San Diego County, CA, and then was again hired by the Acushnet Company to redesign it into the Titleist Performance Institute.